Dr. Zamber is founder, Managing Director and Chairman of Visionary Private Equity Group. He brings more than 20 years of experience in corporate management and business development extending across the public, private and non-profit arenas. Dr. Zamber has helped build profitable companies in healthcare, private and public petroleum E&P, consumer products and Internet technology industries. He is a Managing Director of Navitus Energy Group, Navitus Partners and James Capital Energy. Dr. Zamber is a Board Certified Ophthalmologist and founder of International Vision Quest, a non-profit organization that performs humanitarian medical and surgical missions, builds water treatment facilities and supports food delivery programs to impoverished communities around the world. He has served as an examiner with the American Board of Ophthalmologists and Secretariat for State Affairs with the American Academy of Ophthalmology. He is the 2009 recipient of Notre Dame’s prestigious Harvey Foster Humanitarian Award. He now serves on the advisory board of Feed My Starving Children, one of the highest rated and fastest growing charities in the country. Dr. Zamber received his bachelor's degree with high honors from the University of Notre Dame and his medical degree with honors from the University of Washington. 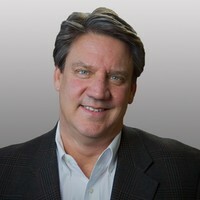 Kenneth (Kenny) Hill was appointed CEO in January 2012, and had previously served as Victory's Vice President and Chief Operating Officer. He was appointed to the Board of Directors in April 2011. Prior to joining the Company, Mr. Hill held titles of Interim CEO, VP of Operations and VP of Investor Relations for the U.S. subsidiary of a publicly traded oil and gas company on the Australian Stock Exchange. Since 2001, Hill, through his private endeavors has raised several million dollars of venture capital, personally invested in and consulted for a number of successful entrepreneurial ventures across a variety of industries, including oil and gas. Kenny began his business career as one of the original 20 employees of Dell, Inc. and during his 16 years with the company served in variety of management positions including manufacturing, sales, marketing, and business development. Prior to joining Dell, Kenny studied Business Management and Business Marketing at Southwest Texas State University (now Texas State University). While at Dell, Mr. Hill continued his education at The University of Texas Graduate School of Business Executive Education program, The Aspen Institute and the Center for Creative Leadership. He is a team builder with a unique set of proven leadership, management and technical skills. Ricardo A. Salas is the President of Armacor Holdings, LLC, an investment holding company for Liquidmetal Coatings, LLC, which develops, supplies and provides application service of leading metallic coatings which protect against wear and corrosion in oil & gas, power, pulp & paper and other industrial environments. 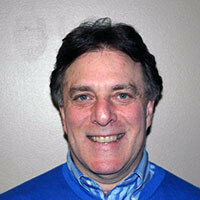 He has served as a Director of Liquidmetal Coatings, LLC since June 2007. Between 2008 and 2015, Mr. Salas served as Executive Vice President and a Director of Liquidmetal Technologies, Inc., a pioneer in developing and commercializing a family of amorphous metal alloys. In 2001, he founded and became CEO of iLIANT Corporation, a health care information technology and outsourcing service provider. Following iLIANT’s merger with MED3000 Group, Inc., he continued to serve as a Director of MED3000 Group, Inc. and on its Special Committee leading up to its sale to McKesson Corporation in December of 2012. He serves as a Director of Advantum Health, a private equity backed healthcare IT enabled services company. Mr. Salas received an Economics degree from Harvard College in 1986. Mr. Salas was selected to serve on the Company’s Board of Directors due to his extensive management experience. During his 35-year business career, Mr. Eilertsen has served as chief executive officer, chief operating officer or corporate consultant for a wide range of companies across the U.S., Canada, China and Europe, including several Fortune 100 companies. 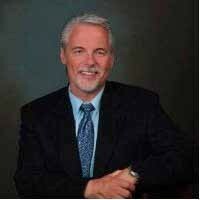 Since November 2016, Mr. Eilertsen has served as the Chief Executive Officer for Experience Matters Consortium, Inc., an Arizona nonprofit organization with the mission to connect skilled volunteer talent with meaningful service opportunities across the many nonprofit and civic organizations in Arizona. From November 2013 to October 2016, Mr. Eilertsen served as the Co-Founder and President of SmartStory.com, a Silicon Valley startup he helped fund to create the next generation of customer, employee, and patient engagement/e-commerce platform. 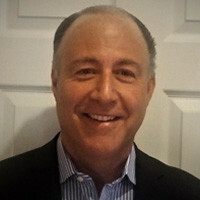 Before co-founding SmartStory.com, he founded ETI Consulting in March 1997, where he provided C-level advice on commercializing and productizing unique intellectual property developed by Kroger Co.’s technology group. Mr. Eilertsen is currently serving on the Arizona Department of Education Career & Technical Education Quality Commission, the Arizona State University Community Council and the board of directors for the Global Pathways Institute. Mr. Eilertsen earned a Bachelor’s degree in Business Administration from the University of Mississippi in Oxford and began his professional career in 1979 with The Procter and Gamble Company located in Cincinnati, Ohio. He has held various NASD and SEC licenses and has served as a director on multiple boards since 1985. Mr. Eilertsen was selected to serve on our board of directors due to his extensive management experience. Kevin DeLeon is a General Partner and Director of Corporate Strategy for Visionary Private Equity Group, a private equity firm that invests in early stage, high growth companies. Mr. DeLeon has spent more than twenty-five years in global finance, both on the buy and sell side, in New York, London, and Tokyo. For the past decade, his focus has been in natural resources, most recently as Senior Advisor to the Company since February, 2015. Prior to joining the Company, he served in the same capacity at Miller Energy, a NYSE-listed Alaska focused oil and gas exploration and production company, from June 2013 to February 2015. At Miller, Mr. DeLeon was responsible for overseeing corporate strategy, with particular focus on financing the company’s drilling program and acquisitions, as well as investor relations and corporate governance. Prior to Miller, Mr. DeLeon spent approximately six years spearheading the U.S. operations for a boutique U.K. investment bank, with a strong focus in E&P and metals & mining. Early in his career, he worked for Yamaichi, one of the Big Four Japanese securities houses, where he received the Chairman’s award for his consistent revenue contributions. Mr. DeLeon was also a founding partner of Bracken Partners, a London-based corporate finance advisory and fund management firm with particular focus on the U.K. private equity markets. He has served as both a senior executive and non-executive director of numerous public and private U.K. and U.S. companies. Mr. DeLeon is a 1990 graduate of Yale University, with a B.A in Economics. Mr. DeLeon was selected to serve on the Company’s Board of Directors due to his extensive global finance experience. Robert Grenley has over 25 years experience in financial management, business development and entrepreneurial experience. This financial experience includes 12 years managing early stage organizations with equity capital. Mr. Grenley's broader financial management experience includes over 10 years of direct portfolio management and investment expertise including common and preferred stock, stock options, corporate and municipal bonds as well as syndicated investments and private placements. Mr. Grenley holds a BA in Economics from Duke University.